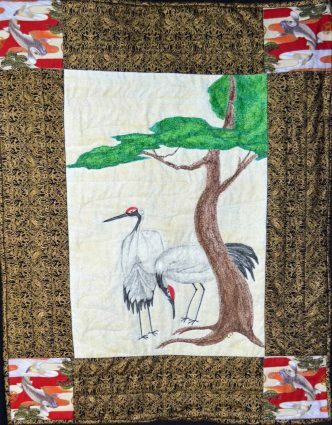 Lori Lee Triplett, Business Manager for Quilt and Textile Collections, has successfully combined a variety of passions which include research, writing, and performing into the quilt world. As a lecturer and instructor she brings her experience from stage, screen, and radio to make the presentations fun yet educational. Depending on which program she is performing, you may meet one of her guests from abroad, sing-a-long with a song, or even participate in solving a mystery. 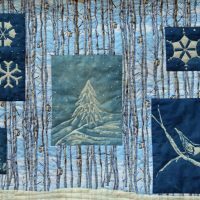 She enjoys presenting at local quilt guilds, but also presents at national conferences and has made appearances internationally. 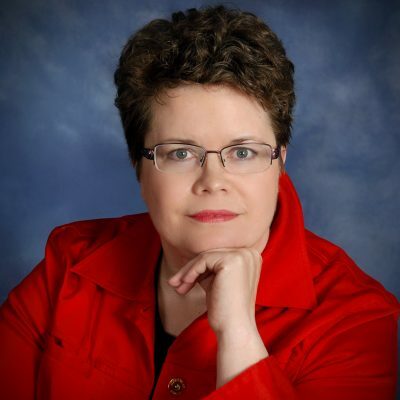 As an award winning writer Lori has written more than 15 books and numerous magazine articles. 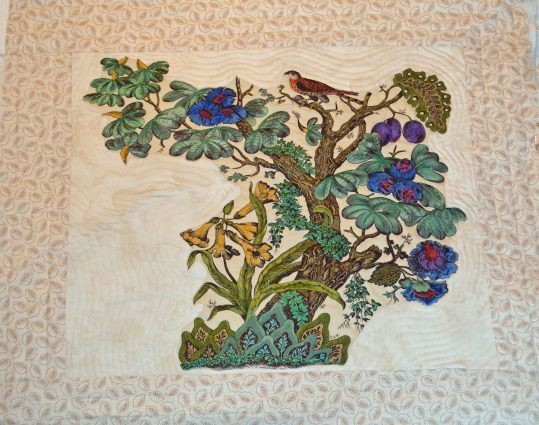 Her most recent book written with her sister, Pioneer Quilts, examines the great western migration of the pioneers. 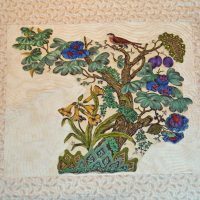 The book uses 30 different quilts to tell the pioneer story through the eyes of Esther Heinzmann. 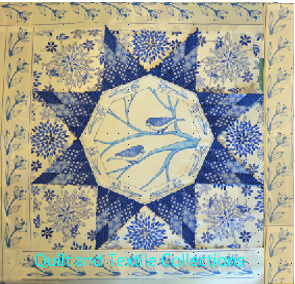 Her previous book, Indigo Quilts, covers the history of indigo from Africa to America. 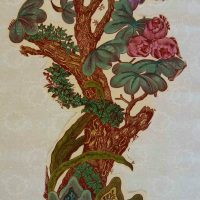 Additionally the book includes detailed photos of African textiles and antique quilts from the Poos Collection as well as five projects. The Indigo Quilts book received the Lucy Hilty Research Grant and the Meredith Scholar Award. 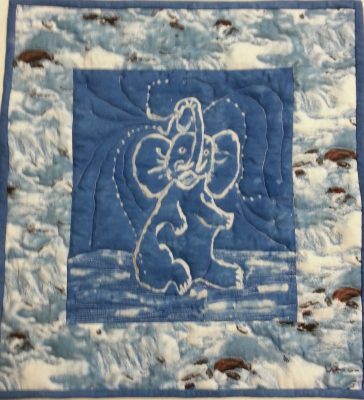 The successful Chintz Quilts from the Poos Collection launched in the fall of 2013 and was co-written with Kay Triplett and Xenia Cord. 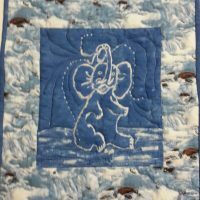 An art quilter Lori prefers to work with hand dyed or hand painted fabric to create. 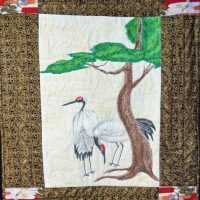 Her art work has been featured in multiple exhibitions, websites, publications, and books. She is an international award winning artist including from the National Endowment for the Arts: American Masterpiece. Her artwork has been published in newspapers, magazines, postcards, and calendars. 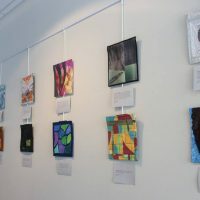 Her solo exhibition, Reflections, traveled for more than a year at a variety of locations. Her art can be found in private and corporate collections, museums, and at the Arts Alliance Gift Shop. 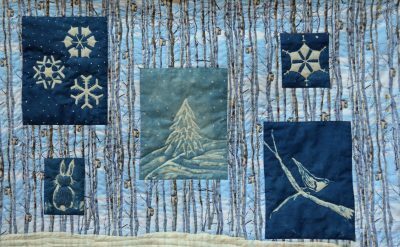 She is currently creating quilts for two solo quilt exhibitions: Tree of Life and Indigo Images. She is a member of the American Quilt Study Group, American Quilter’s Society, Heartland Quilt Network, The International Quilt Study Center & Museum, Modern Quilt Guild and SAQA (Studio Art Quilts Associates.) She is a graduate of the University of Arkansas with a Bachelor of Arts with honors, and a Masters of Arts from the UMKC Theatre Department. Additionally she has law degree from UMKC School of Law where she received multiple awards.